Saute onion in oil until golden. Add pieces of pumpkin (peeled) and simmer for 2-3 minutes. Add vegetable soup or water and salt. Cook for 20- 30 minutes. At the end add kurkuma, parsley and chopped garlic. Put into a blender. 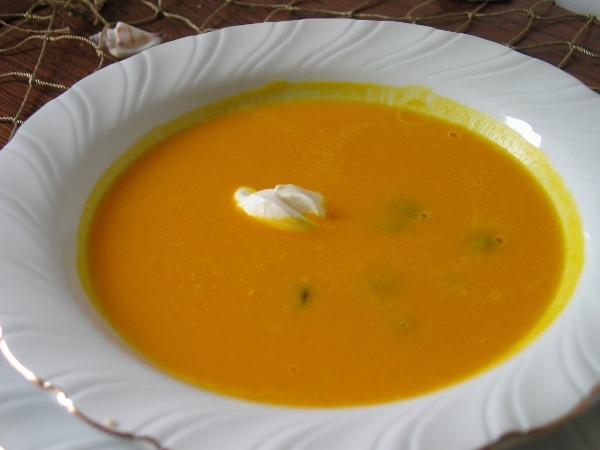 This is a delicious cream soup for colder autumn days.